Collapsible P-Pod | The portable, foldable restroom, storing 3x the units in same space. DIDN’T THINK OUTSIDE THE BOX? WE JUST MADE THE BOX SMALLER. The P-Pod is a collapsible version of the traditional portable restroom that folds down to 36 inches high, which can be tossed easily into the back of a small pickup truck or a regular old minivan. For commercial uses, you can store three times the number of unit in the same space. 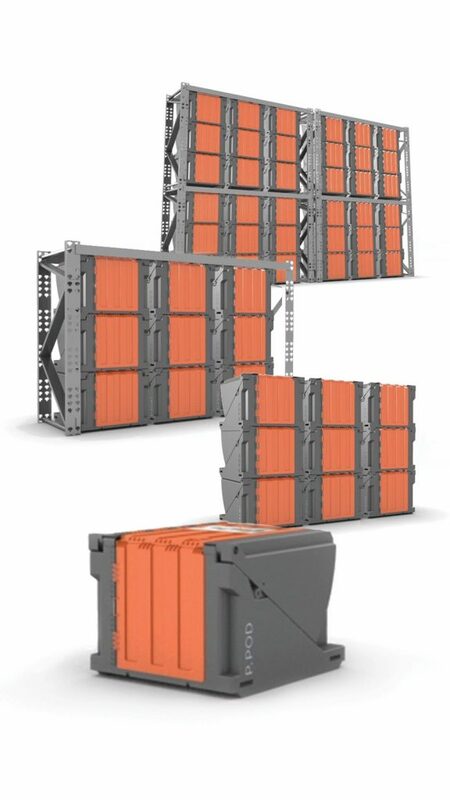 Its collapsible design allows for better logistics and more efficient storage. That means more profit. 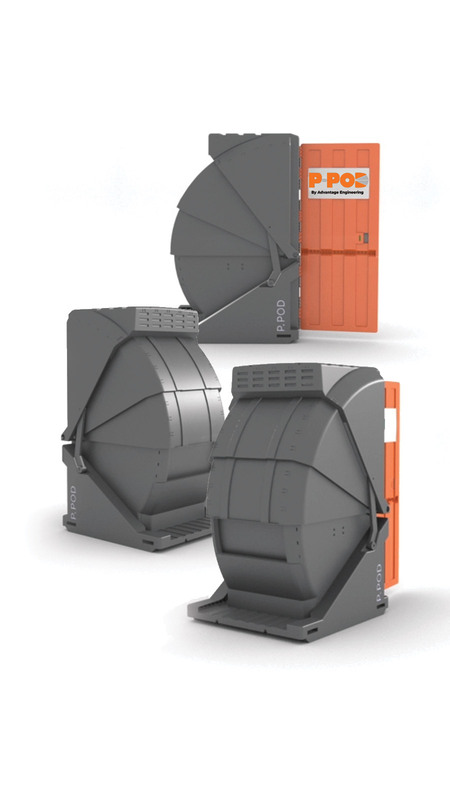 The P-Pod’s modern, patented design will change the way you think about port-a-johns. Customizable and easy to service. Nesting base allows you to store and stack 3 units in the same space as 1 conventional portable restroom. If your truck or trailer currently holds 10 conventional units, it can hold as many as 30 P-Pods. Fits in standard box trucks and toilet trailers. STACKABLE DESIGN ALLOWS FOR MORE SECURE INDOOR STORAGE. Clean environment free of rodents, insects, dust and dirt. A 40’x100’x16’ structure can hold up to 600 units. No more digging latrines! The P-Pod is working on biodegradable waste vessels that solidify and break down waste to allow disposal in an environmentally-friendly manner. Its compact size and ease-of-deployment makes it a go-anywhere field latrine. With its compact size and interchangeable tanks, disaster relief areas can have three times the number of units on the ground where they’re needed. The sealable, optional removable tanks allow service to be done without a vacuum truck. A big advantage when every minute counts. FROM CAMPGROUND TO TAILGATE PARTY P-POD IS READY. WATCH FOR P-POD IN THE NEWS! Feb. 18, 2017 – Collapsible porta-potty built in Windsor, Ont. ready to flush the market. Feb. 26, 2017 – New invention designed and developed entirely in Windsor region. 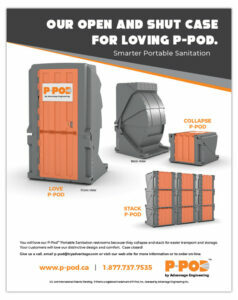 Interested in additional information on P-Pod? Please provide us with some information then download your brochure here. If you wish to unsubscribe from any future mailing, contact us at p-pod@tryadvantage.com.